Today in Masonic History Lawrence Barrett passes away in 1891. Lawrence Barrett was an American stage actor. Barrett was born on April 4th, 1838 in Paterson, New Jersey as Lawrence Brannigan. He was raised in Detroit, Michigan. It was there that he had his first stage work at the age of 15 in Murad, appearing as a French spy. Three years later he made his first appearance on a New York city stage. He portrayed Sir Thomas Clifford in The Hunchback. In 1858, Barrett moved to Boston, Massachusetts where he appeared with a repertory company at the Boston Museum. When the American Civil War broke out, Barrett joined the 28th Massachusetts Infantry regiment. He never saw action in any major battles of the war. In 1867, Barrett traveled to London for his first appearance on a London stage. He returned in 1882, 1883 and 1884. After returning to the United States in 1868, Barrett moved west and managed the California Theatre in San Francisco, California. 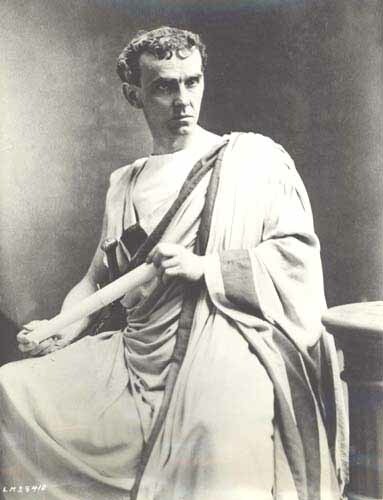 Barrett frequently worked with Edwin Booth, brother of John Wilkes Booth who assassinated President Abraham Lincoln. Booth and Barrett became very close in late 1880's. It was in 1886, Barrett wrote a sketch of Booth titled Edwin Booth and his Contemporaries. In 1887, Barrett contacted Booth and suggested that they tour together. Of Barrett Booth once said "Well, why should I not do good work, after all Barrett has done for me... Good work, eh? Well, I'll give him the best that's in me, he deserves it." In 1889, Barrett and Booth were again on stage performing Othello, as they did many times in their career together. When Booth opened his mouth to speak his voice would not work. Barrett called for the curtain to closed and for a doctor to be summoned. When Barrett stepped out to inform the audience that there would be no performance he stated "We fear that this is the beginning of the end. The world may have heard for the last time the voice of the greatest actor who speaks the English language." Despite Barrett's prediction Booth did recover and the two men continued their touring together. In 1890, Barrett was the one who began to develop health problems. He arranged a performances for Booth and a Polish actress, before going to a spa in Germany. Due to his illness his face became swollen and his voice was weak. On March 17th, 1891 the two men were on stage performing the play Richelieu in the Broadway Theatre in New York City, New York. Barrett whispered to Booth that he was unable to continue and was replaced by his understudy. Barrett passed away three days later on March 20th, 1891. Barrett was buried in Massachusetts and a few years after his death an author who visited his grave stated "The neglect with which Barrett's memory has been treated... is one of the most shameful blots upon the theatrical profession." Barrett was the grandfather of stage actress Edith Barrett who was the first wife of actor Vincent Price. Barrett was a member of Oriental Lodge No. 144 in San Francisco, California.